This new collaboration has really surprised me, their harshest critic who loves their brand. The decor collection is a refreshing game changer. Lately, I have been eyeing the competition, Disney, because they have seem to be coming out with better stylish Mickey and/or Minnie decor and clothing. Unless it's vintage, my Sanrio purchases have become less and less as most of Sanrio Japan's new releases are mainly cheap plastic desktop items. So, when I saw the collaboration release, I was actually amazed that the decor design was actually cool -- very cool, cool... if you know what I mean. 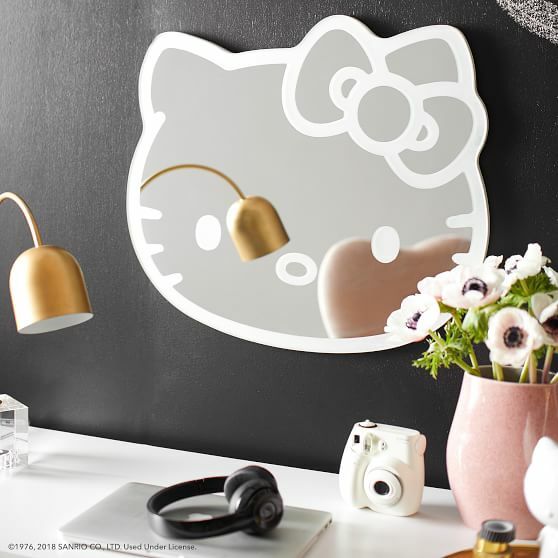 This bedroom collection showcases that Hello Kitty can be stylish, too. It's what I have been saying for years that Hello Kitty has the potential to be cool for adults. 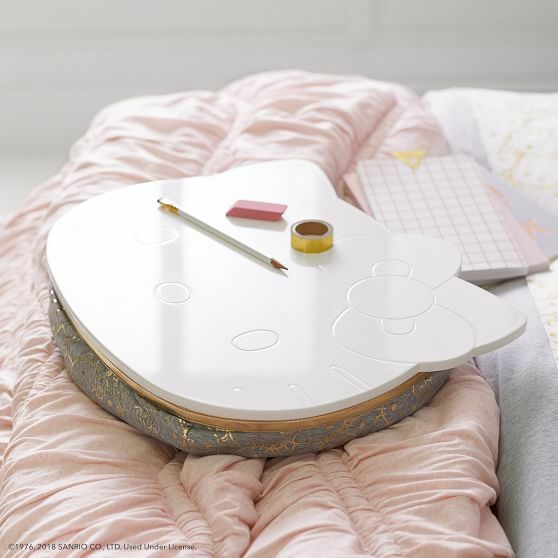 It's a great start for a cool Hello Kitty bedroom! It really is all about the design. I always knew that someone can make Hello Kitty decor cool for adults and not be ashamed to show it off. 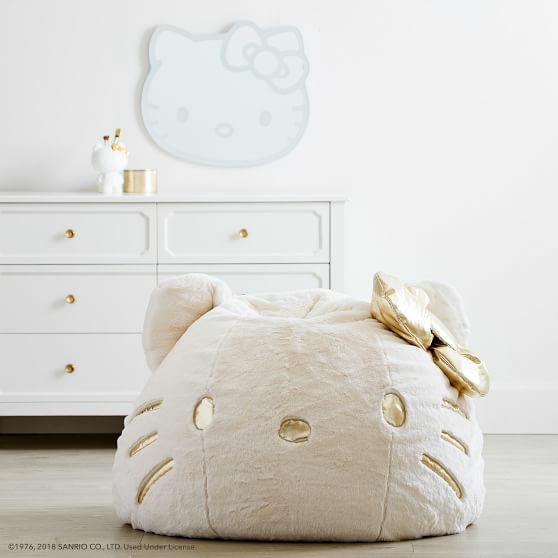 With this collaboration, Hello Kitty has made an official entrance for the adult consumers to be able to own and decorate. This is a great start to all collaborations out there and can open new potential designs that can officially be called cool Hello Kitty. 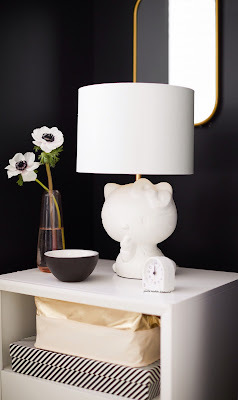 Hello Kitty is usually seen as a character for kids only because all the decor that has been released never reached the cool factor at all. Compared to rival characters, Mickey has already reached the cool factor with Disney adult collectors because most of their decor doesn't make them cringe. Also, it may have to do with quality. Without quality, you cannot have a great design. I always believed that plastic makes the overall decor design have a cheap appearance compared to other materials used. I will always prefer ceramics, porcelain, stoneware, stones, fabrics, etc over plastic. If you don't believe me, set up a room full of mostly plastic decor. Then, compare it to a room from those professional decor magazines that don't rely on plastic for their design. But then again, their target base are adult consumers and not kids with no sense of maturity. 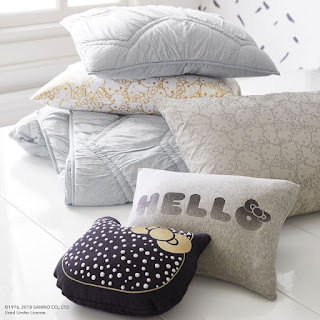 The reason that I cannot give this Collection a full 5 stars is because Pottery Barn designers did not reach full potential for Hello Kitty. This collection is refreshing and a game changer because no other decor company, including SANRIO, has officially made cool Hello Kitty decor. If you design for a bedroom, then everyone knows the eye goes to the center of the room: the bed. The selected decor items are mainly accessorized around the bed. Subtle is great, but that doesn't mean that the bedcovers needs to be overlooked. I can't give a full 5 star rating if I am not 100% impressed. I feel that the Hello Kitty bedcovers may be the hardest to achieve the cool factor for adults. Maybe with Hello Kitty, she will always have that childish image attached. Or maybe not. It's why I say Hello Kitty has big potential. After this Collection design, I am left desiring to push the envelope. Can you reach maximum creativity with Hello Kitty? Time will tell. As for me, I will be buying most of this Collection. I have half of what I put on my Wishlist. I still need that bean bag. It's a MUST for this Hello Kitty Collector. Enjoy the collection like I will do in the future.